With its classic lines, stylish textured leatherette exterior, and subtly sparkling gold-tone hardware, this lovely satchel day bag can be perfectly paired with just about any outfit – from the season’s hottest styles to professional wear or a favorite casual look – add a splash of style with an everyday purse that’s both timeless and fun. 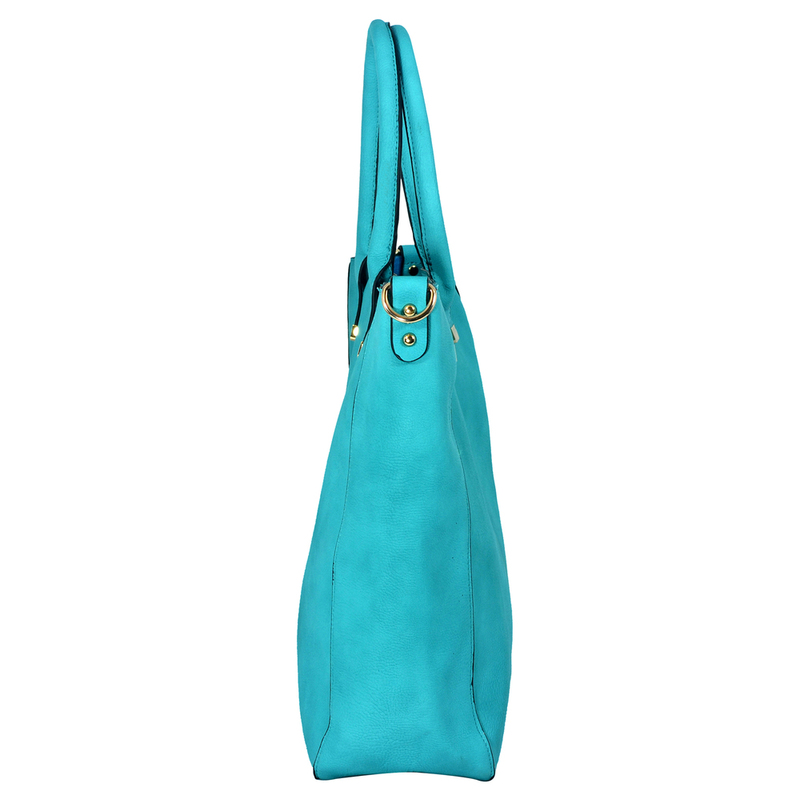 You can include useful to that list too, thanks to this shopper tote bag’s incredibly spacious interior, which features a zippered leatherette pouch that opens up to reveal the hobo bag’s lining, a zippered pocket, and 2 pocket-style organizers. 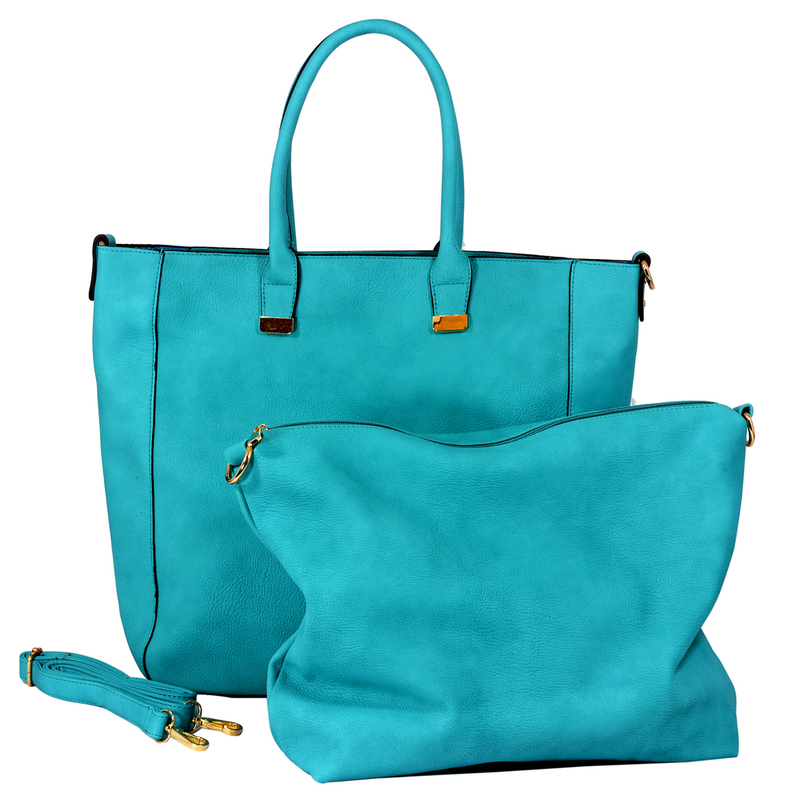 The leatherette pouch can be unhooked from the shopping tote’s interior and used as a mini purse bag on its own. When it’s time to hit the road or go to work, just grab hold of this top double handle office satchel tote hand bag’s 2 sturdy top handles or slip the adjustable and removable shoulder strap over an arm, and you’re ready to go. The 4 gold-tone studs on the bottom of this fashion tote bag will help add traction and keep the travel satchel above the elements should you ever need to set it down while you're out and about. With this fashionable and functional everyday shoulder bag close at hand, style and storage space will be yours every day of the week.